The really interesting thing about the Eleventh Doctor is how he can turn on the end of a pin. One minute, he’s this happy-go-lucky guy; the next, he’s threatening and scary. Sometimes, that transition happens in just one line of dialogue. 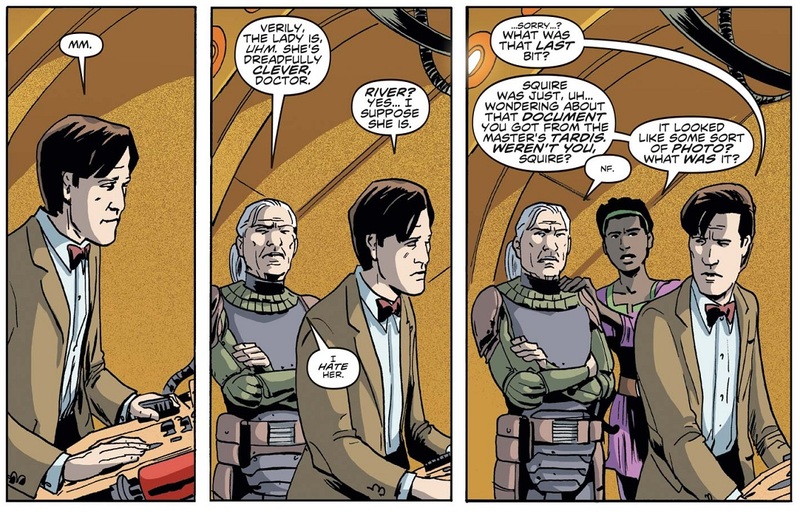 A good example of this is his discussion with Gibbis in The God Complex (2011), but I was especially reminded of another scene when reading Titan Comics’ Eleventh Doctor #2.8. The scenario in question is in The Impossible Astronaut (2011): the TARDIS should be heading for 1969, but instead, the Doctor wants to drop River Song back to the Stormcage facility, and Amy and Rory off home to make babies. Meanwhile, he’s late for knitting or a biplane lesson. He means none of this, of course, but he’s reverted back to Mr Grumpy Face and is just digging his heels in. That’s the Doctor we face in #2.8 – Downtime – too. He’s decidedly mean-spirited, or perhaps worse, he’s acting like he doesn’t care. Alice Obiefune, his regular comic companion, and the Squire (a mysterious companion he doesn’t even remember) particularly get a hard time of it, and not just from the Doctor. River is surprisingly harsh to Alice, and the Doctor is far from welcoming. In fact, he seems to have shunned – accidentally, it has to be said – the Squire. I’ve been concerned with how packed the TARDIS is looking, and here, we get a hint of its pay-off. There’s a great friction on board, and the person who’s supposed to be in charge of that rabble is acting very uncharacteristically, even landing in a bar to get a beer (or more realistically, carrot juice). Is this what he’s like when out of the watchful eyes of Amy and Rory? Is this how he acts when he has River beside him, isolated from those who ground him? It could be the influence of Abslom Daak. Unusually, the Doctor isn’t the only one on the TARDIS with a lot of blood on his hands. Indeed, the inhabitants of the bar are more scared of Daak than the Time Lord who supposedly massacred his own people. We’ve pondered what the Doctor would be like without his enemies to define him, but Daak is a whole different kettle of fish. At his heart, the Doctor is a traveller; Abslom is a Dalek hunter, constantly looking for revenge. Issue 8 really does put his purpose into question, giving him more character development than is normally lavished on him. What is he left with? 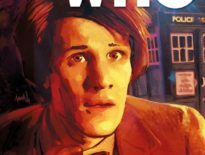 Writer, Si Spurrier does a fantastic job balancing the time we spend with each companion, and you don’t realise how fond you’ve grown of them until one goes missing. Spurrier clearly has a lot of respect for Daak, and includes a fascinating scene with the chainsaw-wielding psycho talking to Bonaparte Devizes, dealer in Dalek artefacts – a man who essentially profits from Abslom’s rages. I love the concept. It’s like some people’s fascination with anything owned by Nazis or serial killers, that interest we have in the macabre, scaled up to include Skaro’s finest. While the ideas the comic deals with are wide-ranging, the physical environs remain largely the same. The bar takes up much of the issue, bookended by the TARDIS and the space-wacey cliffhanger, and that’s fine, except artist, Warren Pleece doesn’t bode too much on detail. I understand how difficult it must be drawing a scene with so many aliens in, but the backgrounds aren’t very inspiring. 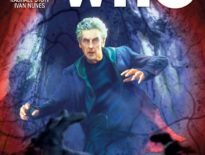 For the most part, that’s good, allowing the reader to focus solely on the Doctor and co., but there are some missed opportunities. Primarily, I’d like to see an Ood, a Judoon, a Slitheen, a Sensorite – just some recognisable creatures. Even one would be a treat. Nonetheless, Pleece does capture great movement in the inevitable bar brawl, showing us exactly what he’s capable of. I look forward to seeing him tackle the oncoming, uhm, storm that sees the Doctor come up against the Malignant, very probably next issue. Near the conclusion of Downtime, the Time Lord gives a stark admission: “I’m running out of places to run. And I don’t think anyone can help.” This is the Doctor pushed to the edge, and that’s a very interesting place to leave him for now. 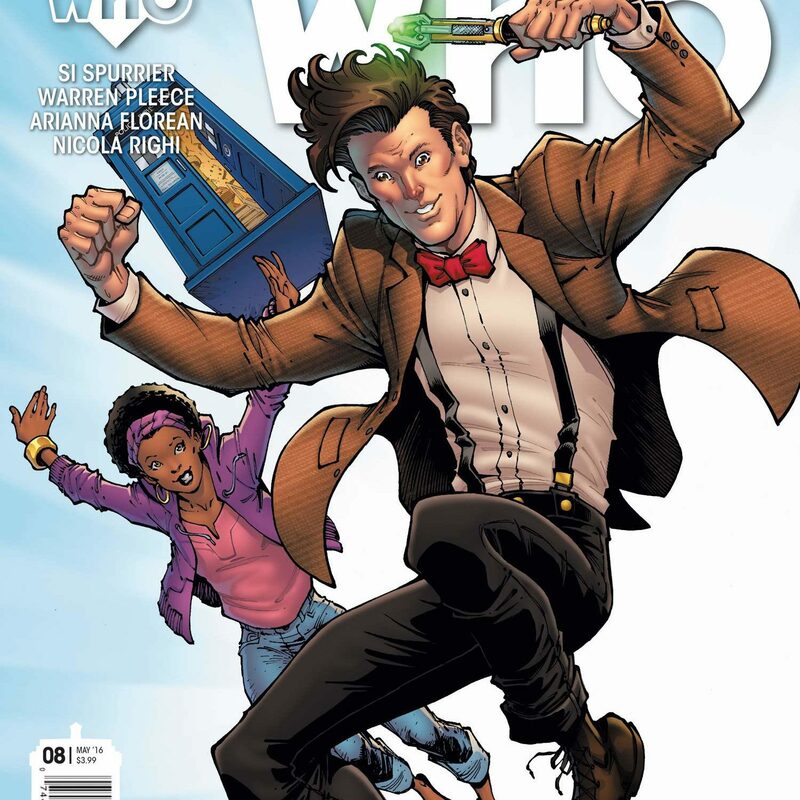 The Eleventh Doctor #2.8 is out now, priced $3.99. ← Sherlock Series 4: Could This Be The End of Mary?